The following interview was done by Marko Hikl, a member of the Young Peace Journalists. 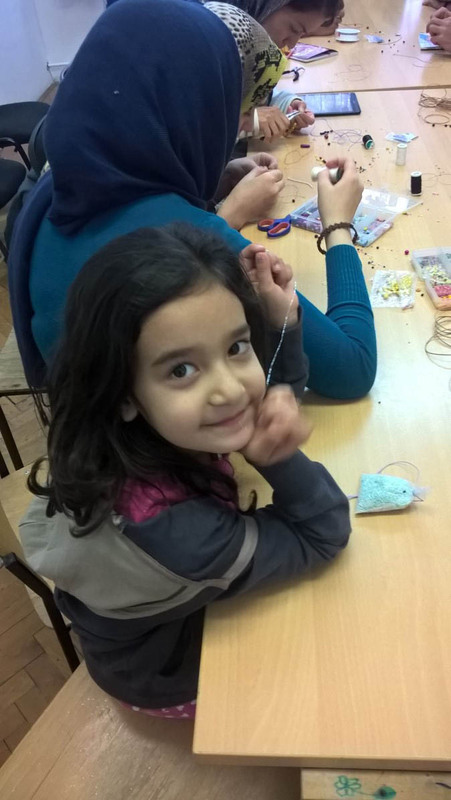 It is the latest entry in the Young Peace Journalists project featuring the stories and voices of refugees. This article will not be like the others; it does not talk about refugees and of their stories but about those who assist them on their arrival and while they go through a transition state, and, if they decide to stay, to enable successful integration into society. This is a story of volunteers. Precisely one volunteer from Croatia. Ivan Stanic is 45 years old and has lived his whole life in Osijek, Croatia. Currently he is attending a “Demo Academy” (one-year program which is designed to educate citizens for greater participation and commitment to the idea and values of democracy) organized by the volunteer centre of Osijek and their partners. He has a son of 23 years. He was unemployed for some time and that was a fundamental premise to start thinking about volunteering after a big migrant wave started towards Europe last year. But first a little about the Kutina centre where he volunteers. Kutina is one of the few centres of its kind in Croatia and is primarily intended for vulnerable groups, families and teenagers without parental care. The full capacity is around 100 people and it is currently filled. It is important to note here that asylum seekers and non-asylum seekers live together there, which greatly alters the centre´s approach to people and its view of the future. At the beginning, Ivan was only driving other volunteers to Kutina and then he would go back home. But after a while, he realized that he could help and make the people happier. 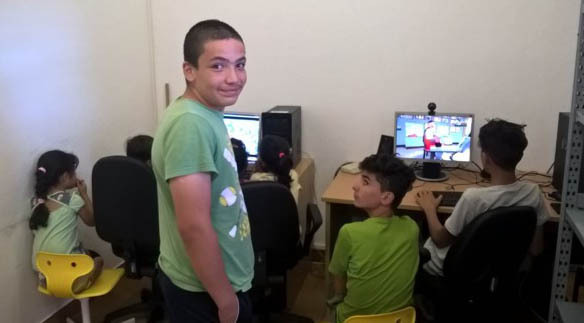 On his initiative, the centre could maintain a computer room and internet for all the children – asylum seekers and non-asylum seekers. Later he began to repair everything from bicycles to cell phones. Despite his great contribution in dealing with technical tasks to improve the life in the centre, he still sees its primary activity in talking with asylum seekers. From the most banal questions, such as, “How do you say…?” to the conversation about their culture or the Croatian culture and the various problems that they suffer or have suffered on the way to here, he is always ready to respond with a smile to discuss each topic. In the six months he has been volunteering, he did not experience any unpleasant situations with refugees. He says that although some in the media are trying to display refugees as dangerous and as a source of extremist ideas, the truth is that it is not so. Of course in the millions of people who are coming to Europe, there will be a few extremists, but most of them just want a peaceful and decent life like they had before the war. Of course refugees are an interesting story when something “interesting” (read “dangerous”) happens. Of course, as in any organisation, there are always problems, but the most common is about the volunteering time. The looming problem is that, due to the fact that this is no longer a crisis in the current situation like last year when the migrant wave started, unfortunately Ivan will no longer be able to devote so much time to volunteer. Now the necessary work is preparation for future, long-term integration, and it requires greater commitment and most importantly, a lot more time, which unfortunately due to private life and other things other volunteers do not have. According to the centre, asylum seekers’ integration is extremely important and an essential part of integration is language learning. Some refugees are settling better, some worse, and everyone reacts differently to social change. In case of the language, there are different types: some of them try to talk after a few weeks, and some can’t or don’t know or even are afraid to try out the new language even after several months. What they all have in common is that they start to understand and try to learn what they will need in the near future. As always we need to look at the country’s plans towards refugees. Ivan, considering that he already has 45 years of life experience, thinks that the state should make better use of opportunities that asylum seekers provide and believes that the country should consider them as an opportunity rather than a threat. When we got to the topic of the causes and the prevention of the great refugee wave, Ivan said that he believes that this could have been prevented, but it is something that has its roots in the depths of history and that Croatia could not do much about it. Recalling the war in Croatia 25 years ago (in which he took part as a soldier on the battlefield), he said that he now was extremely pleased that the Croatians showed all its humanity by helping refugees and that he would not like to live in a country that turns its back to people in need. By volunteering so long he concluded that his experience is positive. Refugees are people who live in a difficult situation, and sometimes react in a way that seems selfish, greedy, or with envy — and probably we would not be different in their situation. Sometimes they even seem too naive or honest. The local community accepts them slowly. The mayor is well-meaning, but maybe because of political strategy, he might think that he should not be too much in contact with refugees. 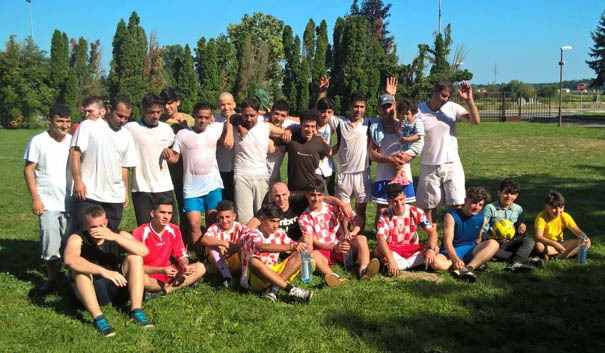 Refugees are very active in the community. The children attending school as guests are learning with local kids when they can. Women are participating in the autumn days of bread, a festival where they bake cookies and cakes with their own recipes. And the guys started teams to go on the small football tournament traditionally organized before Christmas. But most important is that there were no incidents with the local population. What Ivan does and what each volunteer does is extremely helpful and most importantly they do it from the heart, not asking for any reward for it, except the joy on the faces of the people they are helping. Ivan states that more people should recognize the benefits that volunteering provides and if they do not have time to personally get involved in various activities then they should at least not look at refugees and people in need with disgust and disapproval, like so many do. They should rather look at the story from the other side and consider why these people are in such situations. Marko Hikl lives in Croatia and he is relatively new in volunteering (2 years). He is a member of the Young Peace Journalists. Marko is 18 years old and is studying to be an electrical engineer. He loves everything from books and movies to music and drawing.